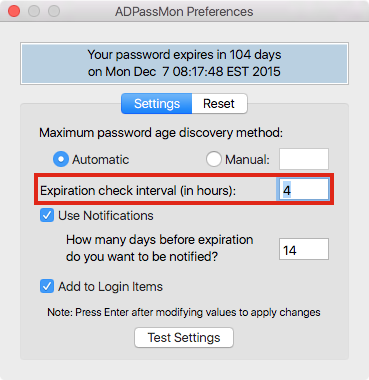 This version fixes a bug that caused ADPassMon to fail when a Mac’s language settings use a decimal separator other than a period. Thank you to Adrian Milz of Germany for pointing it out to me. I have also decided to distribute the application with a simple zip archive rather than a dmg from now on.